Lock-Jaw is the best barbell collar choice for the lifters who demand maximum performance and durability from their equipment. For use with bumper plates, CrossFit, or Olympic-Style lifting. 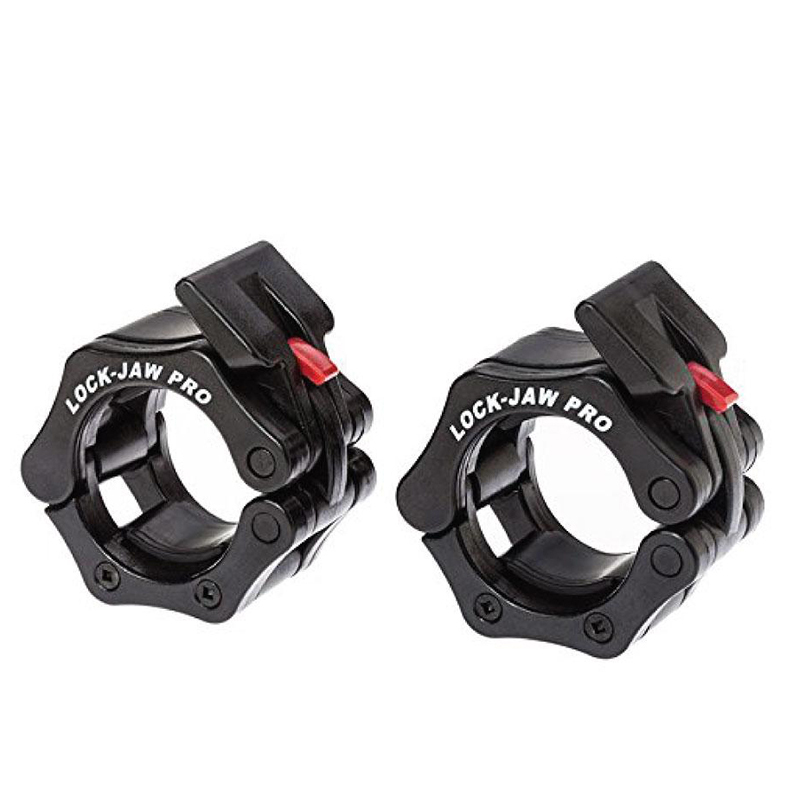 The Lock-Jaw Pro Collars feature a solid-core injection molded nylon resin frame and injection molded pressure pads, making it nearly unbreakable! One hand installation and removal is easy with the large locking lever. A permanent spring snap-latch keeps the collar secured on the bar through the most brutal workouts.Innovative design, superior durability, and exceptional performance make the Lock-Jaw Pro Collar an excellent choice for CrossFit and all bumper plate workouts. Lock-Jaw Collars will help prolong the life of your bumper plates by keeping them secure throughout your workout. Solid-core injection molded nylon resin frame. A permanent spring snap-latch keeps the collar secured on the bar.